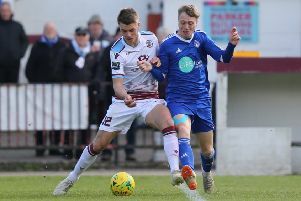 Bexhill United Football Club’s upcoming clash away to promotion rivals Steyning Town has been brought forward. The date for the Southern Combination League Division One second versus third encounter has been changed from Saturday April 20 to Saturday April 13. The reason for the change is that Steyning are playing Wick in the Division One Challenge Cup final on Good Friday (April 19). It means that Bexhill will now have nine days between the Steyning match and their Easter Monday game away to Hailsham Town, instead of less than 48 hours. Bexhill are currently two points behind Steyning and three adrift of leaders Alfold. All three teams have four league matches remaining. Remaining fixtures - Bexhill United: April 6 Midhurst & Easebourne (a), April 13 Steyning Town (a), April 22 Hailsham Town (a), April 27 Mile Oak (a). Alfold: March 30 Southwick (a), April 6 Sidlesham (h), April 20 Seaford Town (a), April 22 Billingshurst (h), April 27 Storrington (a). Steyning Town: March 30 Hailsham Town (a), April 6 Southwick (h), April 13 Bexhill United (h), April 22 Worthing United (a), April 27 Littlehampton Town (a).